Home CALENDAR of EVENTS Want a Taste of Derby? Act now! Want a Taste of Derby? Act now! The first big Derby season social event is fast approaching. 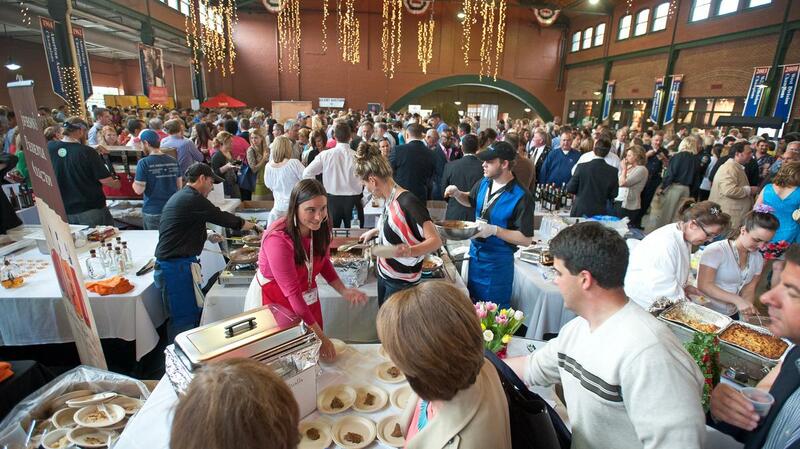 Taste of Derby will be Wednesday, April 9, 5:30-8:30 p.m. at Louisville Slugger Field, its venue for the past several years. Beneficiaries of the event will be the clients of Dare to Care and the Kentucky Association of Food Banks, which work to end hunger in the Bluegrass State. The event will offer guests samples of food and drink from over 60 local businesses. Chefs always trot out their tastiest samples, breweries pour their best beers and distilleries concoct intriguing cocktails . A few of the restaurant participating will be Against the Grain Brewery, Bistro 1860, Chuy’s, Eddie Merlot’s Louisville, Homemade Ice Cream & Pie Kitchen, Lilly’s Bistro, Martini Italian Bistro, Napa River Grill, Proof on Main, Selena’s at Willow Lake Tavern,The Irish Rover and The Oakroom. Beverages will be offered by Alltech Brewing and Distilling, Finlandia Vodka, Heine Brothers Coffee, Indian Creek Winery, Jefferson’s Bourbons, Old 502 Winery, Southern Comfort and Vanguard Wines, LLC, among others. Tickets, which entitle guests to sample as much food and drink as they wish, are $80, and have to be bought ahead of time; there will be no sales at the door. Here is the link to do so.